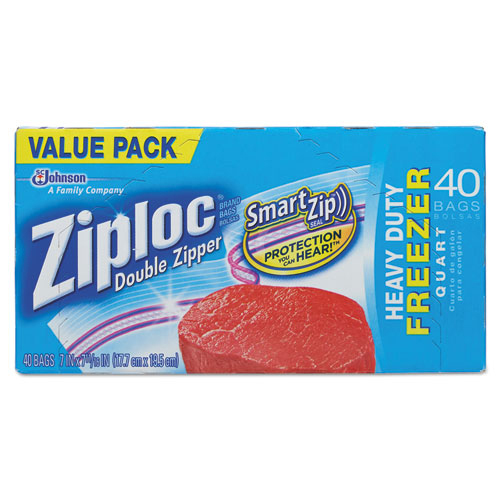 Don't simply place your food in the freezer--help keep it fresh and avoid waste. 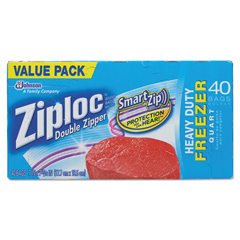 These clear freezer bags feature unique interlocking zipper seals that securely lock in freshness. By keeping your food fresh you can reduce waste. Space-saving storage protects foods from drying out and freezer burn. For increased organization, the bags feature write-on labels to help identify and date contents. Kosher certified. Comes in a convenient self-dispensing carton. Disposable for fast, easy clean-up.